Hong Kong has long been known to have one of Asia’s best nightlife scenes. 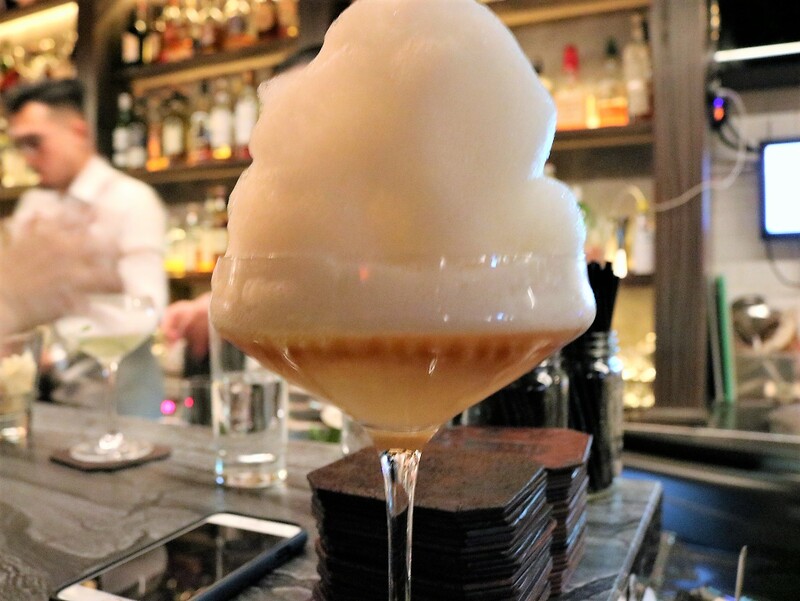 What’s changed in the past few years is the growth of the city’s cocktail culture. Hong Kong now boasts a lineup of high-end cocktail bars, including four in the top 100 of the most recent World’s 50 Best Bars—and, assuredly, more to come. Additionally, there’s more diversity in the bar scene, so from rowdy dives to classy hotel bars, Hong Kong has it all right now. 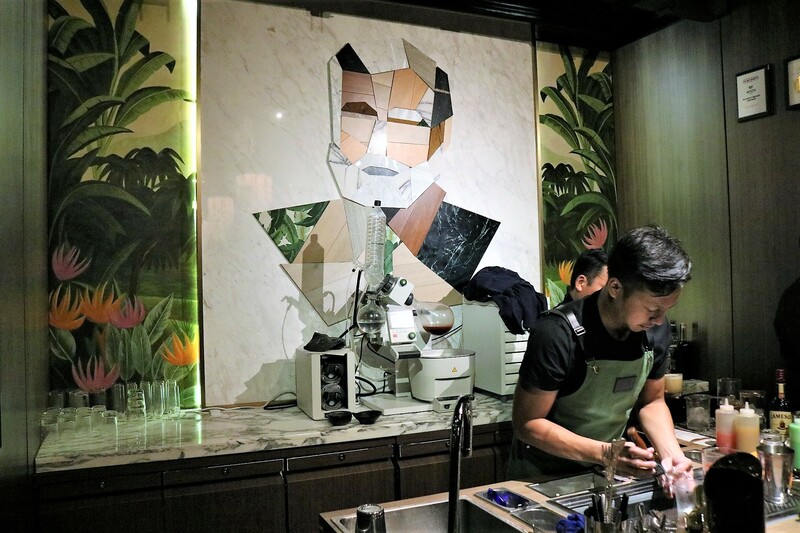 Starting with the more to come, a bar I would most assuredly vote to be among the World’s 50 Best is The Old Man, from Agung Prabowo. The bar is based on Ernest Hemingway, though it’s playing an entirely different game from the myriad “Hemingway bars” of the world. A mural of a grayed Hemingway pieced together from leftover construction materials of assorted colors and textures, hangs on the wall behind the bar, which is itself more of a staging area attached to seating than an actual bar. Every drink on the menu is based on and named for one of Hemingway’s books, incorporating concepts such as ingredients from those places, themes from the text, and drinks the characters were drinking. Even the name itself is more than just an opaque reference to Hemingway. Prabowo spent 12 years working in glitzy bars in Hong Kong, including at Lobster Bar and at the Mandarin and describes his efforts of finally opening his own establishment as a day in, day out grind of hard work, a labor of love. In this way, he relates to Hemingway’s Santiago from The Old Man and the Sea. “This is our passion, this is our life,” Prabowo says. The drinks he concocts feature an absurd level of preparation, combined with cutting-edge techniques and a large dose of the unexpected. His already famous The Snows of Kilimanjaro features marshmallow-infused Gin and lacto-fermented raspberry topped with grated Gruyere cheese. Another customer favorite and one he’s been known to build towers of is The Papa Doble—clear, a clarified daiquiri riff with pineapple sous-vide Rum, clarified pink grapefruit, and jalapeno sous-vide maraschino. The aforementioned Lobster Bar at the Island Shangri-La epitomizes the concept of the classy hotel bar, with exceptional service, trays of bar snacks delivered with your drinks, and a classics-heavy menu of drinks alongside an in-depth cocktail book of creations. 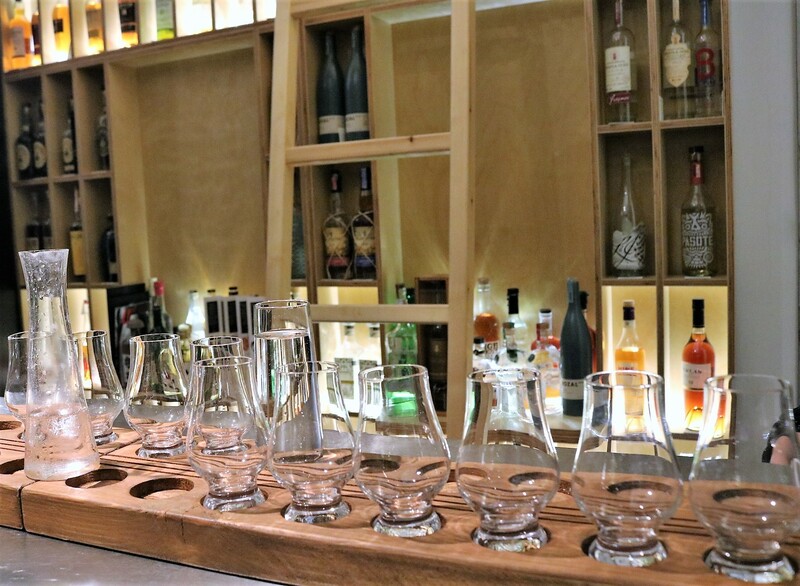 The bar also showcases an impressive selection of spirits, with an emphasis on premium Whiskey, Cognac, and Port. 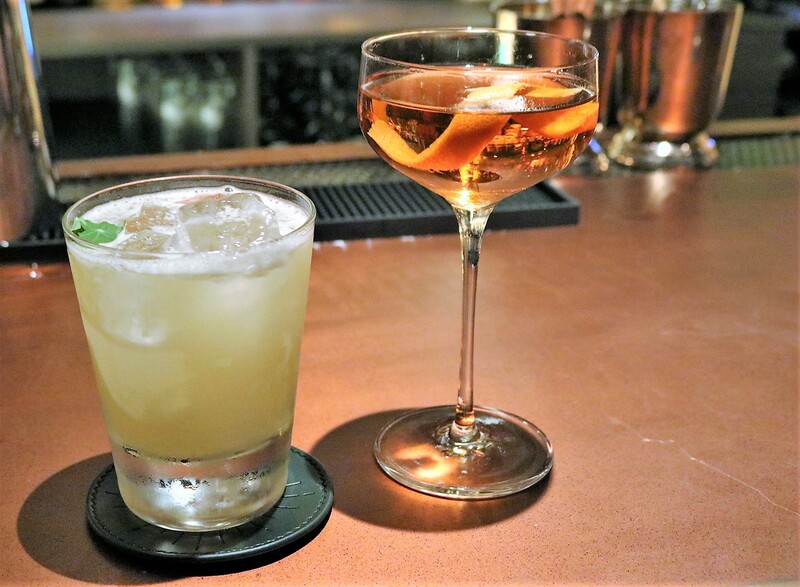 A more modern take on the hotel bar comes from Red Sugar, at the trendy Kerry Hotel along the waterfront on the Kowloon side of town. 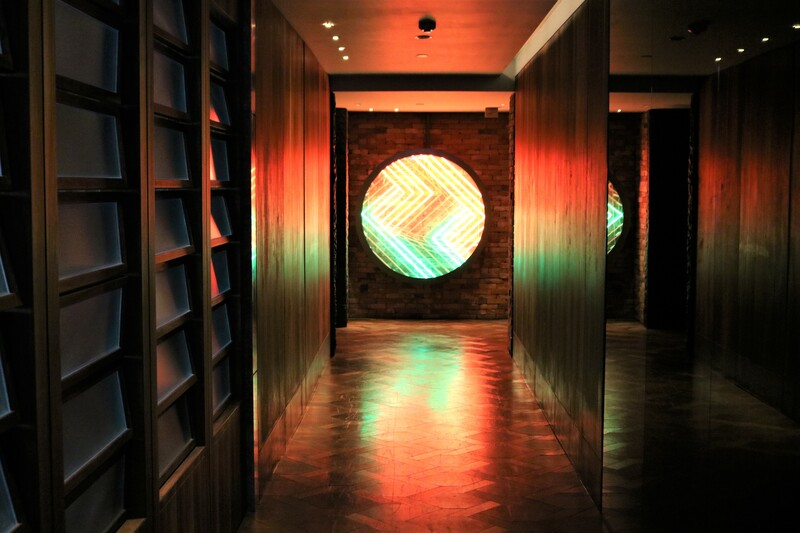 Enter through a wood-paneled hallway lit only by a shining red and green circular art piece at the far end, and imagine yourself walking onto the set of Bladerunner 2049 or whichever futuristic world your mind conjures up. Within, you’ll find a large space filled with couch and table seating, and a huge outdoor patio. 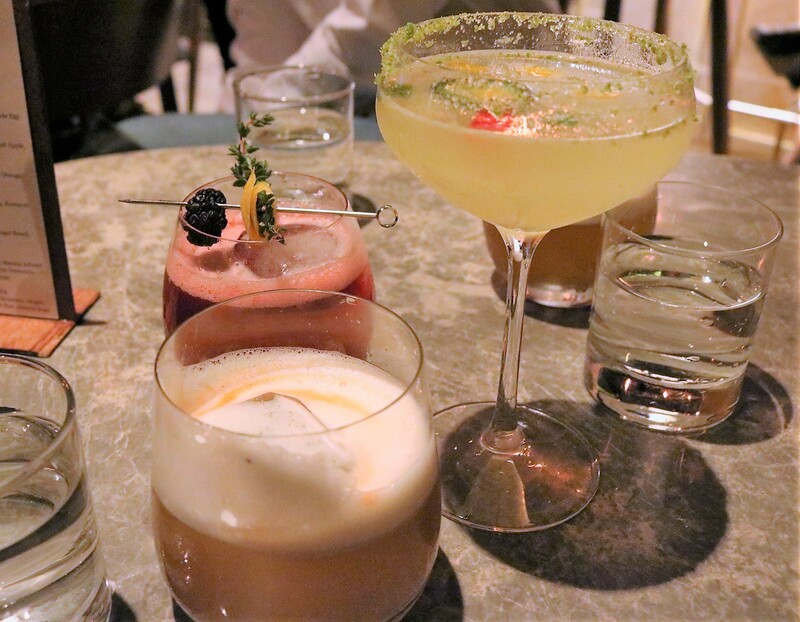 The drinks lineup ranges from barrel-aged creations to low ABV libations, and contemporary cocktail classics. 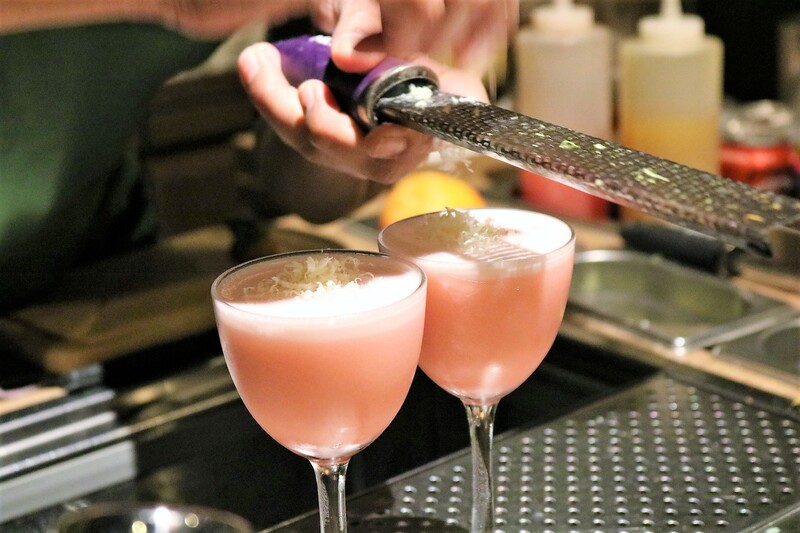 Few guests actually seat themselves at the bar, so you’ll make the bartender’s day if you do, while getting an up-close look at their presentation-focused, conceptual drinks, made to encourage the same crowd of table-sitters to embrace cocktails they wouldn’t otherwise normally try. As is the case with the loaded Singapore bar scene, Hong Kong is also now home to several outposts of popular New York City bars, namely Employees Only and PDT. 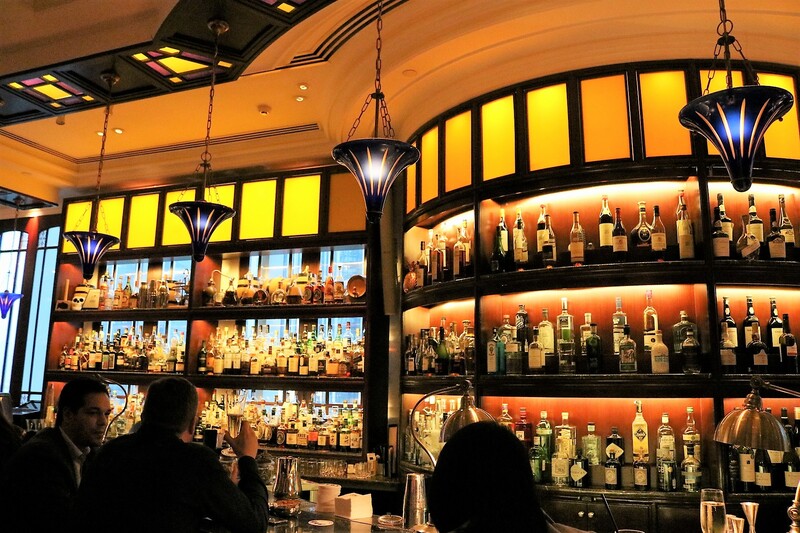 The latter is found in The Landmark Mandarin Oriental, and you’ll have to find it by walking through the main lobby restaurant and bar, toward a back room hidden behind a telephone booth entrance. Once you weave your way inside, you’ll find a comfortable, dimly lit environment highlighted by the mirror-backed shelves of spirits behind the bar, a buzzing crowd, and a menu which features largely original drinks, save for a few classics from home, such as their Benton’s Old Fashioned. It’s always best to save your last call for Employees Only, and if you make friends with your bartenders at a place such as The Pontiac, they may even take you there themselves. Before you get to EO though, embrace the no-frills dive bar approach of The Pontiac crew and its hilarious, engaging set of bartenders. You’ll have a good time. Quinary, one of the original leaders of Hong Kong’s craft cocktail movement, remains its current highest-ranking bar on the World’s 50 Best list. Though it’s around the corner from The Pontiac, it may feel a world removed, as inside here you’ll find a clubby Manhattan vibe. The drinks themselves from Antonio Lai would be showstoppers even in New York’s bustling bar scene, too, from the mountain of foam atop the signature Earl Grey Caviar Martini, to the bonito flakes adorning the house Quinary Sour, with Johnnie Walker Black, Vermouth, umami licorice syrup, lemon juice, and egg white. At Quinary, that element of flashiness comes first from what’s in your glass, while at other places, what captures your attention immediately is the bars themselves. And in this case, “flashy” isn’t a bad thing at all. Take a look at the wildly creative and immersive bars from Ashley Sutton, including Dear Lilly, Iron Fairies, and J. Boroski. Each spot is based on a vivid concept as if captured from a fever dream, pushing the boundaries of what you might expect from bar design. Walking into any of them is to enter an enclosed standalone universe, one that’s wholly unique, elaborately imagined, and intricately detailed. Joining the likes of Prabowo and Lai among today’s Hong Kong bar-scene luminaries are entrepreneurs with a growing lineup of establishments, such as Elliot Faber, beverage director of Yardbird and RŌNIN, and Victoria Chow, founder of The Woods, its sister space The Woods Annex, and her own lineup of canned cocktails, KWOON. At Yardbird, Faber focuses on a deep list of Japanese Whisky and featured highballs backed by yakitori bites from the kitchen, while at RŌNIN, Sake, including a unique setup of Sake on draft, takes center stage. And while Hong Kong features several New York imports, Los Angeles should get ready to accept one of its own, with the Yardbird crew working on an L.A. opening. Chow leads educational spirits tastings and workshops at The Woods Annex, customizing flights with hand-picked bottles she’s nabbed during her travels. It’s a small space built for private groups, and she makes use of an even tinier back room to can her KWOON cocktails, which she serves by the thousands at a range of events around town. A few blocks away is the original The Woods, a thumping basement bar that still manages to churn out exciting craft cocktails. Its bar within a bar, The Lodge, is an eight-seater space focused on jaw-dropping concoctions, like her new Martini Constellation, with an array of garnishes balanced on a set of copper wires akin to a hanging mobile, draped atop a copper martini glass. 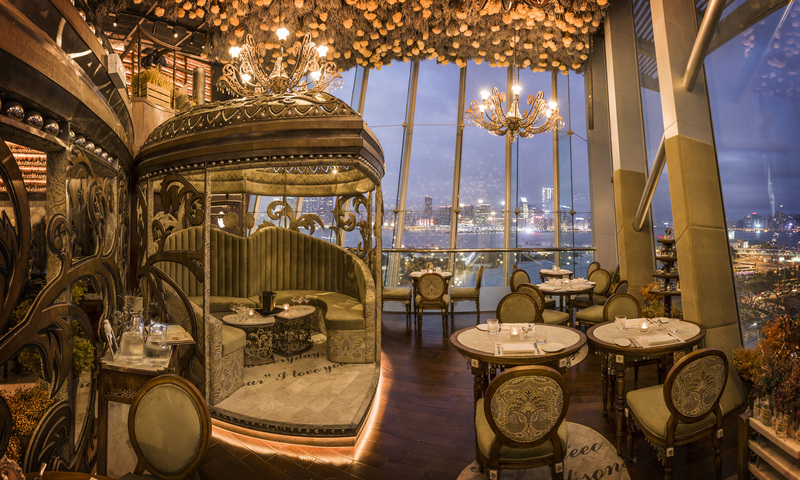 The bar scene in Hong Kong is, ahem, truly shooting for the stars. Don’t miss out.